There was a family that lived near me in Austin that had a large front yard that always seemed to be filled with playing children and puppies. It seemed like several times a year this family was enjoying a new, cute, fluffy little playmate, and it occurred to me at some point that I never saw any grown dogs. One day, when I was walking by the house, I struck up a conversation with one the adults. I told her how cute all the puppies I’ve seen there have been and asked where all the rest of the dogs were. She told me that she wouldn’t let her children play with grown dogs because she thought they were too dangerous for them. Again, I asked her where she kept the dogs, and she said: “Oh, we don’t keep them when they’re not puppies anymore.” I asked her: “Where do you bring them?” hoping I was not going to get the answer I feared. “Hill Country.” she said. Just so you know, Hill Country is not the name of a 5 star hotel for dogs. It is the wooded, rural area outside of Austin city limits, where people like her routinely drop off unwanted pets. I was having a hard time keeping my temper in check but managed to stay calm as I said: “And that’s okay with you to leave an animal out there to die?” She snickered at me and said: “They’re wild animals. They can fend for themselves.” The conversation deteriorated rapidly after that point. Over the course of several centuries, man has bred dogs to adapt to our environment, making the woods as foreign to them as it is to us. With no wild dogs around to teach them to locate a food source, these poor, once loved dogs died a slow, lingering death either of starvation or a combination of that and exposure to the elements. Which brings us to parrots, and the people who would toss their birds out the front door when they have had enough of the noise, the mess or the financial strain. I would prefer to see a bird euthanized, than suffer the fate of those who have been thrown away. Some people feel that their bird would live a better life if it were free. I understand this feeling. There are times when one of my flock is hollering for something, and I, as a human, can’t figure out what it wants. There are times when they want to come out and play as I am running out the door to work. I get a case of the guilts often. Let me assure you, though, that the only chance of survival your released parrot will have is by the intervention of another human, and another cage. Parrots are not domesticated and still have their wild instincts intact, this is true. However, in order for your parrot to survive in the great outdoors, it must find another of its OWN SPECIES, if it is lucky enough to be accepted, to show him what and where the possible food sources are. Wild parrots learn everything they know from their parents and other flock members: what is food and that which is poisonous, how and where to stay warm and safe from predators. None of these things are hard wired into them, especially if they were captive bred. Those parrots that were wild caught are no longer in their native land where food sources might be familiar. They have to find new things to eat that will satisfy their dietary needs, and this requires the help of an experienced bird. Another huge consideration is the climate. Our parrots have adapted to the temperatures of our homes and its feathers grow in to insulate it for those temperatures and conditions. If you were to release your bird in the dead of winter, or the scorching heat of summer, it would likely not last long. There are flocks of feral Quakers and mitered conures scattered throughout the US whom have learned to adapt and survive in our country. These are hardy species who have manged to gather into flocks. The Quakers can be found in the harsh temperatures of the northeast. 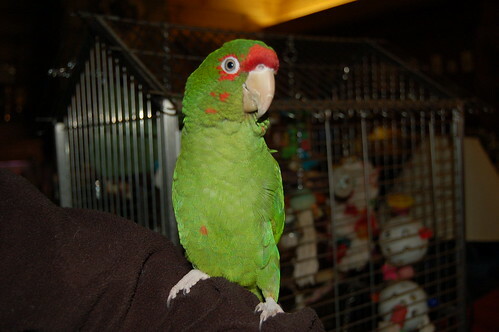 Others species of parrots are not as adaptable in these conditions. The white cockatoos, for instance, do not do as well in the cold as the others in that family. 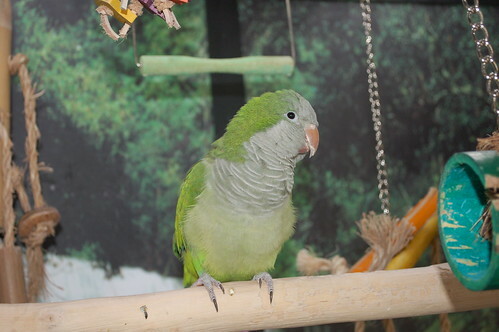 Several years ago, there were a few different groups of people who released small flocks of parrots (African greys and macaws), with the well intention-ed idea of creating larger wild flocks. They thought it would be wonderful to adapt these species to a wild life in North America. Not one of these birds was seen again after several days. With any luck, they located sympathetic humans who took them in. In the best of situations, where habitat is not being destroyed, life in the wild is no picnic. It is a continual search for food and nesting spots, under the constant threat of predator attack, in all types of bad weather. With disease, parasites and daily stresses, and no access to vet care, a wild parrot’s life span is notably shorter than that of their captive counterparts. If you are unable to cope with your parrots needs, or have the feeling that yours is not thriving in your home, call a rescue for help. 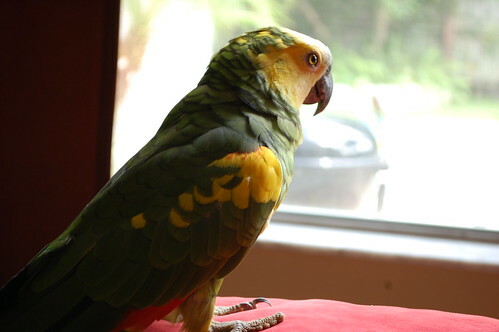 Not only is it illegal to release a non-native species into the wild, but your parrot cannot, and will not, survive.